Hudson River Houses. 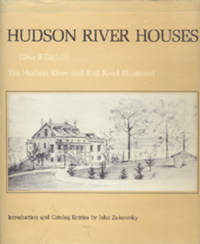 Edwin Whitefield's "The Hudson River and Rail Illustrated"
Title: Hudson River Houses. Edwin Whitefield's "The Hudson River and Rail Illustrated"
North River Press, 1981-01-01. Hardcover. Good. 9.1300 inches 6.5700 inches. Ex-library copy with usual markings.